The San Jose Business Journal offers daily local business news, resources and more in San Jose, California. We were thrilled when SK Consulting, a marketing and strategic consulting firm, asked us to team up with them and create an ad series for The San Jose Business Journal. 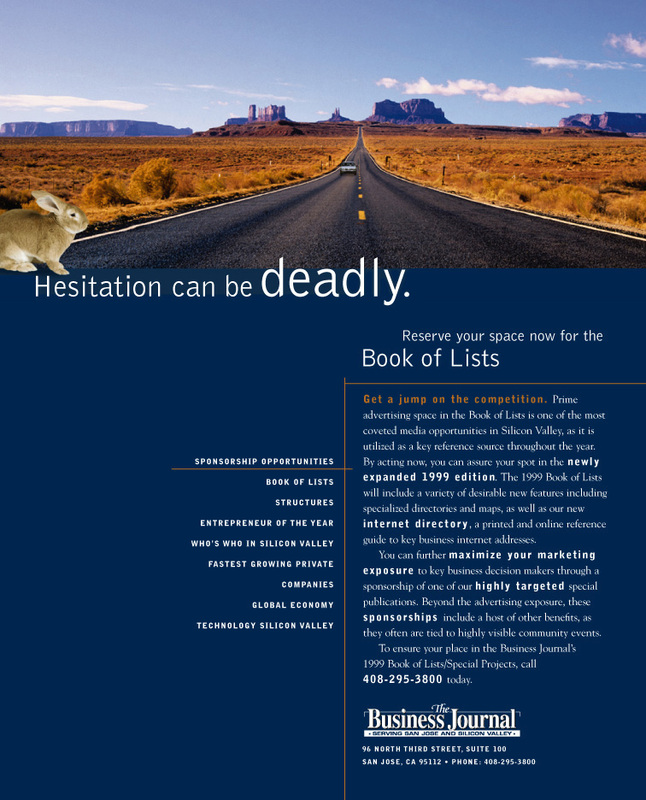 We needed to persuade advertisers to book advertising space early in the Book of Lists issue. Because the BOL is such a popular, sought after publication with a long shelf life, SK Consulting wanted an eye-catching and fun ad. We think we accomplished this with rich colors and playful imagery.